A Ladder Adjustment involves making a manual change to a ladder that the program cannot accommodate for otherwise. These are usually processed as a result of specific association rules or regulations. 1. 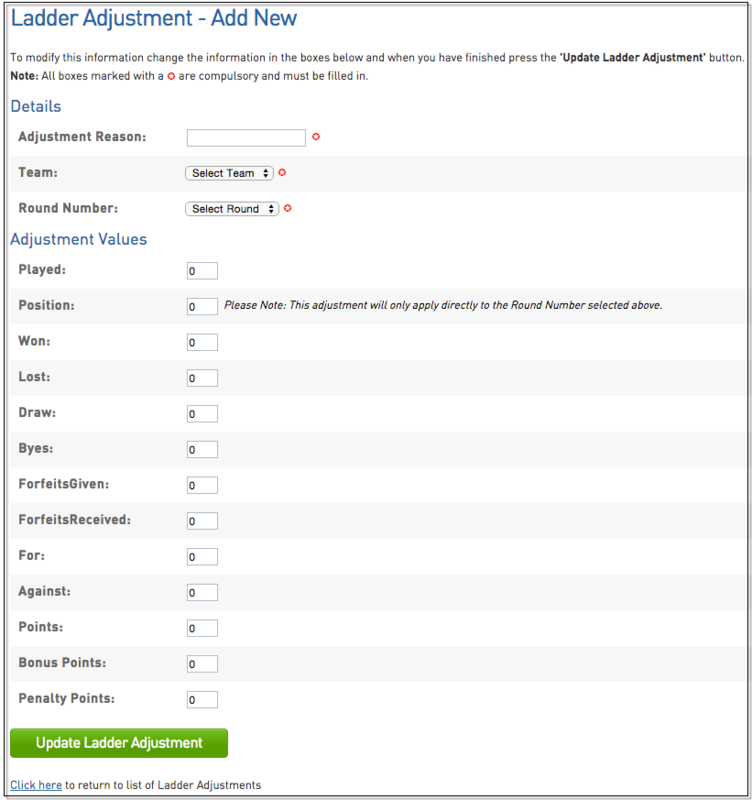 Hover over Competitions and click Ladder Adjustments. 2. Click on Add in the top right hand corner to make a new Ladder Adjustment. 4. 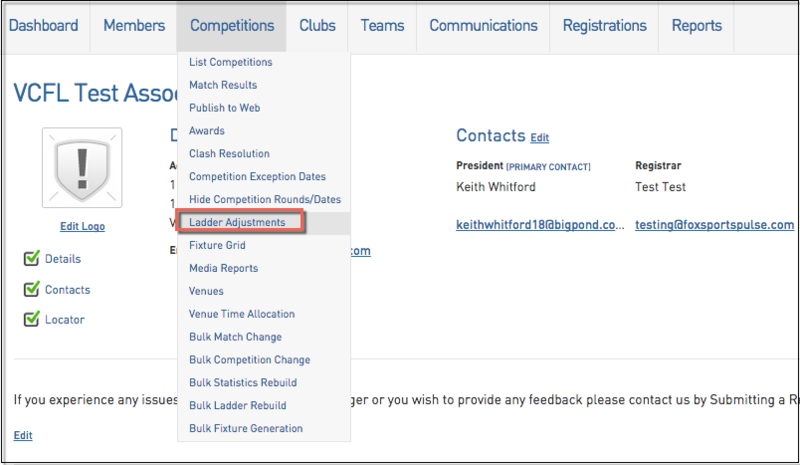 Fill out the compulsory fields and the Adjustment Value and then click Update Ladder Adjustment when complete. Adjustment Value: Enter in the value you wish to deduct or add (“-14” will deduct 14 competition points, “14” will add 14 competition points). A hyphen “ - “ needs to be added to deduct values.